VAMA Divani has always been, for the classic armchairs, a very special care, and concerning such products, you can choose among a wide range of models. Among the classic leather armchairs, we highlight the charming and beautiful Chesterfield armchairs, completely upholstered in leather and embellished by the famous buttoned details. 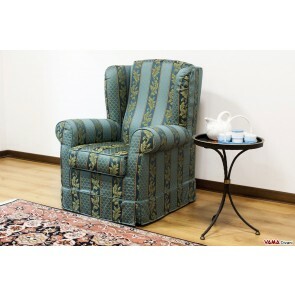 Also with regard to fabric armchairs, the available models are numerous and very intriguing ones, and the fabric armchairs with completely removable cover are not rare because they result to be very practical in cleaning their surface. The VAMA Divani classic armchairs can be placed successfully in your home, in your professional studio, in your office and in many other contexts. In addition to the simple armchair, we can realise leather directional armchairs which can be completely customised. Linked by internal extremely durable frames and a very strict care, the VAMA Divani classic armchairs can be customised, and many models can be required and customised in any size you want. 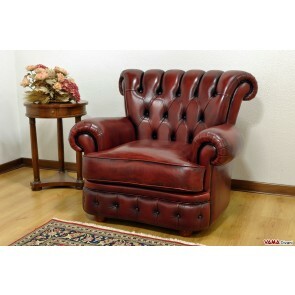 This luxury leather armchair is a really great choice for those who want a prestigious model characterised by an elegant and very Vintage style. 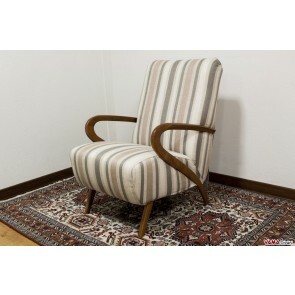 Classic style Bergere armchair characterised by a comfortable and high back, a perfect piece of furniture for a traditional interior design, both for living rooms and bedrooms or other types of spaces. 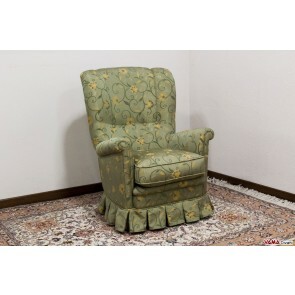 This so suggestive armchair is upholstered in fine fabric and presents a completely removable cover, so its upholstery can be directly washed in your washing machine. If you prefer, you can order this armchair upholstered in leather or in other shades of colour concerning its fabric upholstery. Suggestive 50s style armchair, ideal for kitchens, living rooms and other rooms of your house, an armchair characterise by a very original design and by a structure presenting bold wooden elements. 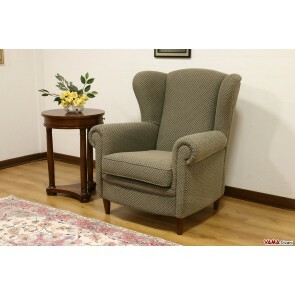 Very convenient and comfortable, the Iris armchair is very resistant, thanks to its very solid and sturdy structure. Customise it in any fabric and colour by your choice, or contact us and request a free quote if you prefer a leather upholstery. 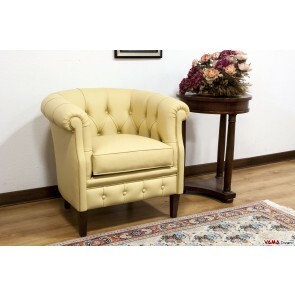 Elegant and refined velvet armchair which can be even upholstered in leather, inspired by the style of the Aster Doge sofa, the popular classic sofa very similar to the more famous Chesterfield sofa. A piece of furniture full of special and extremely accurate features in its hand-crafted finish, with a high and contoured back and its bold arms which present decorative cord and tassels. Perfect for classic living rooms, the Asterina armchair is ideal to be matched with a Aster Doge sofa, in fact, or with a traditional Chesterfield one, and it proves to be a beautiful armchair also to furnish bedrooms with velvet beds or any other room. Armchair characterised by a compact, original and stylish design, Paros can be placed with valuable results not only in your living room, but also in your bedroom or in other rooms of your house. 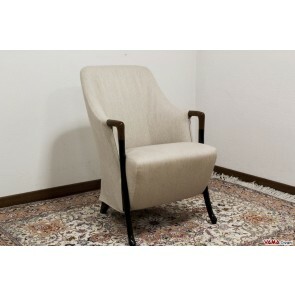 Featuring a fully removable cover, therefore, easy to clean, this particular fabric armchair offers stylish two-tone wooden arms which also act as structural support. Customise your Paros armchair in any colour, or contact us for a free quote if you prefer the leather upholstery. 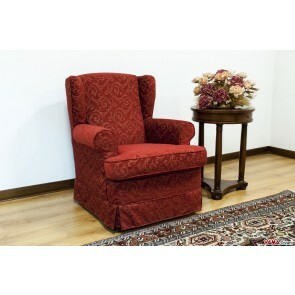 Fabric armchair inspired by the Bergere armchair, but with some significant differences from this ancient classic armchair. The Eden armchair, in fact, presents quite thin arms, a very high and large back and a "skirt" at its base, or an original pleated base. Very elegant and refined but also easy to match, the Eden armchair can be customised in any colours and can be placed successfully in living rooms, bedrooms or any other room. Bergere armchair characterised by a traditional style, a true icon of classical furniture that proves to be perfect in many different environments. Upholstered in high quality and finely crafted fabric, this armchair is very comfortable and can be combined with Vintage-style sofas. Customise your Bergère armchair in any colour shade and upholstery. 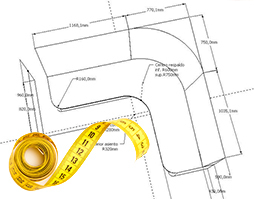 Feel free to contact us for a custom quote! 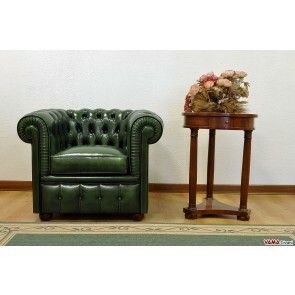 A fascinating piece of furniture for your home and not only, even suitable for offices and waiting rooms. Customise your own Chester armchair in any colour and upholstery, to give a touch of elegance and refinement at your room, thanks to the buttoned details made by hand by our Italian craftsmen. Chesterina is a armchair that perfectly presents all the features of the famous Chesterfield armchair, true symbol of classical furniture, with the only difference of being smaller. There are many valuable characteristics that distinguish the Chesterina armchair, such as its buttoned details, masterfully applied, its buttoned base and the details of its arms. Stylish and refined armchair that revisits, with small but significant details, the style of the famous and timeless Chesterfield armchair. A luxurious and refined armchair, perfect to be placed in a Vintage or typically traditional environment, such as a living room, an office or more. Extremely accurate in its style and made with luxury in mind, the Baroque armchair is clearly inspired, concerning its design, by the art movement of the same name, and it is perfect for those who are looking for a refined armchair to be placed in a classic context. Characterised by an elegant and painted wooden frame, the Baroque armchair is upholstered in high quality leather and is decorated with many interesting details, such as its studs. 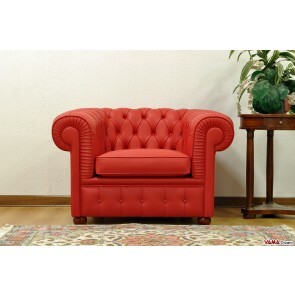 Its soft padding and its large and ergonomic back make this armchair very comfortable. Customise the colour of its wooden frame and of its leather upholstery, and realise the Baroque armchair of your dreams. Armchair in hand aged leather, realised following a carefully crafted process, an exceptional piece of furniture for those who appreciate Vintage style. It can be realised in many other colours: go to our leather catalogue. The finely crafted upholstery embellished with buttons, trims and studs, and other interesting details such as its bold wooden feet, make this armchair a real masterpiece of classic design. Like all the armchairs our collection, even the Parigina armchair can be customised in any colour and upholstery. Leather Bergère armchair, characterised by a very charming and elegant design, enhanced by buttoned details on its back and many fine decorative hand crafted details. Customise your own Capri armchair, in any colour and upholstery. 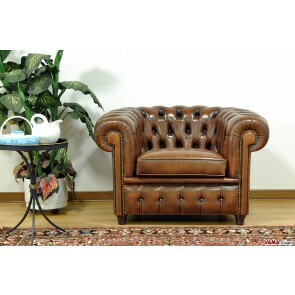 Presidential and directional Chesterfield armchair, a very elegant armchair, upholstered in high quality leather with fine wooden base and internal structure. This armchair combines a great level of comfort, typical of the most luxurious directional armchair with a sophisticated style, and it is perfect to be matched with a classic desk in offices or private homes. Its main feature is represented by its very high back, finely embellished with hand crafted buttoned details, which can be customised in any colour. 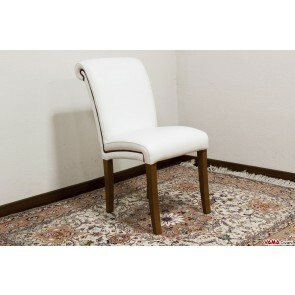 Leather chair characterised by a simple and traditional style, with top quality wooden feet and internal structure and completely upholstered in high quality leather, embellished with elegant contrast edges. An upholstered chair that is really "universal", being able to be combined with a dining table, a desk, and being perfect in kitchens, living rooms, bedrooms and even in offices. It can be customised in any colour and upholstery, like all our products. A small bedroom armchair made by our Italian craftsmen, to be admired in every detail, ideal for bedrooms furnished in classic and modern styles. 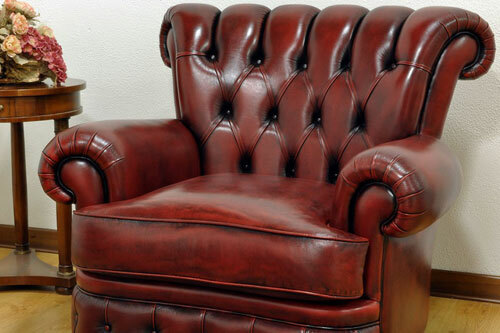 Simple but well refined buttoned details, stylish pleats on the armrests upholstery and a charming buttoned base for this armchair which has nothing to envy to the most prestigious Chesterfield sofas. 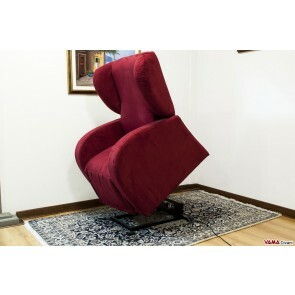 Reclining armchair characterised by a modern and attractive design, Minnie presents a heavy-duty structure and features internal Made in Italy motors and mechanisms. In addition to the lift mechanism which allows people who have mobility difficulties to sit and raise without any problem, the Minnie armchair offers the opportunity to adjust, with convenient electrical controls, even its footrest and its back. Its bright and elegant style allows the Minnie armchair to be placed with excellent results in different contexts, not only in living rooms, but also in different rooms or bedrooms. 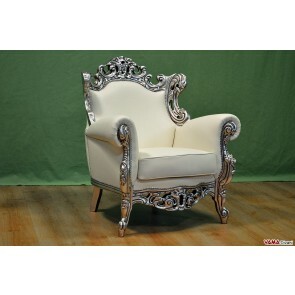 It can be customised in any upholstery and colour by your choice. Feel free to contact us for more information.